"A period in history where things were simpler, incentives to push the boundaries of design and engineering were explored. 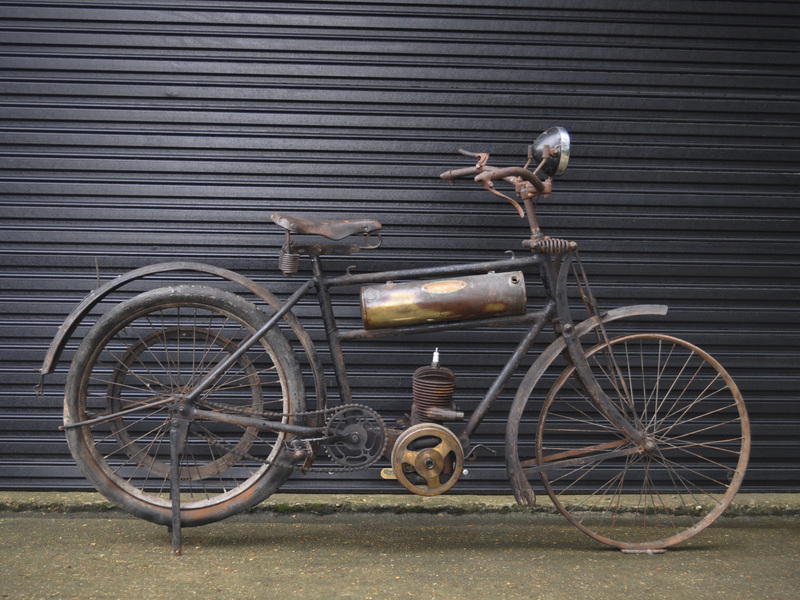 Sculpting the motorcycle history as we know it..."
Simply, supporting the local community: Joseph Monet, an enthusiastic "Shed Builder" at the time ... - designed simple and innovative motorised vehicles, giving "Mobility" to "Saône-et-Loire" in the 1920's. The "Model P", is one of the first of Josephs' "Motorcycle" Designs. 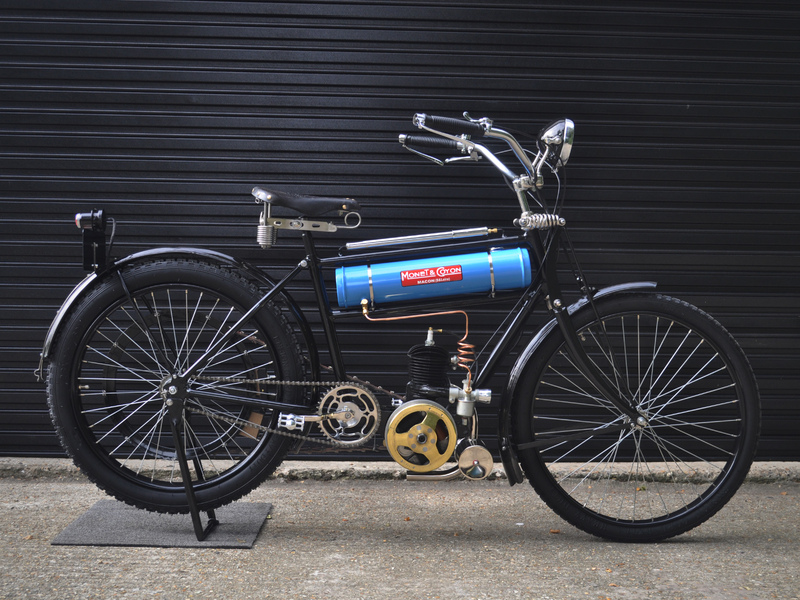 With an "Entretube" brass tank, belt driven Villiers' engine and revolutionary sprung front suspension! The start of what was going to be the biggest motorcycle manufacturer in France!